If you've been around traditional/paleo/real foodies for any length of time, the subject of coconut oil has probably come up. Coconut oil is a saturated fat that most people unfortunately believe is the cause of health problems such as heart disease, cancer, and weight gain. This false accusation has made us into a low-fat society of “I Can't Believe It's Not Butter” huggers. But unlike the popular fats like canola oil, vegetable oil, and wannabe butter spreads, saturated fats (animal fats and tropical oils like coconut oil and palm oil) are actually the healthiest fats you can eat and use in a variety of ways. 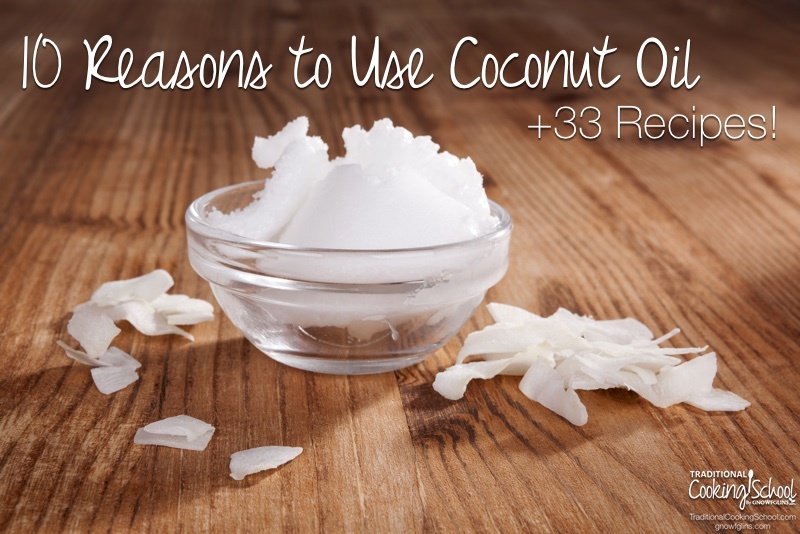 Here are 5 reasons to eat coconut oil, plus 5 ways to use it. (In case you're counting, that adds up to 10.) Including 33 recipes! From the very beginning of life, saturated fats (coconut oil is 92% saturated) are beneficial. They contain lauric acid, the same fatty acid found in breast milk, which makes them essential for brain development, from newborns to those suffering from Alzheimer's. Low-fat dieters may be appalled at the thought, but eating coconut oil will actually help you maintain a healthy weight and boost your metabolism. Saturated fats are directly absorbed into your body for quick energy. They boost metabolism and stimulate weight loss. According to several doctors, including Dr. Bruce Fife, coconut oil can help protect you from heart disease, cancer, and other degenerative conditions. 5. Bacteria, fungus, and viruses. Coconut oil helps protect your body from bacteria, fungus, and viruses, and increases immune responses in HIV cases. Because your skin is your body's largest organ, it absorbs everything you put on it. Studies show that pre-term babies rubbed down with coconut oil instead of mineral oil had faster weight gain and growth. 4 . In your mouth. 5. On baby's sensitive skin. Coconut oil is the queen bee of all saturated fats. Use it all over your body, inside and out, and discover a healthy alternative to everything from snacks to toothpaste! 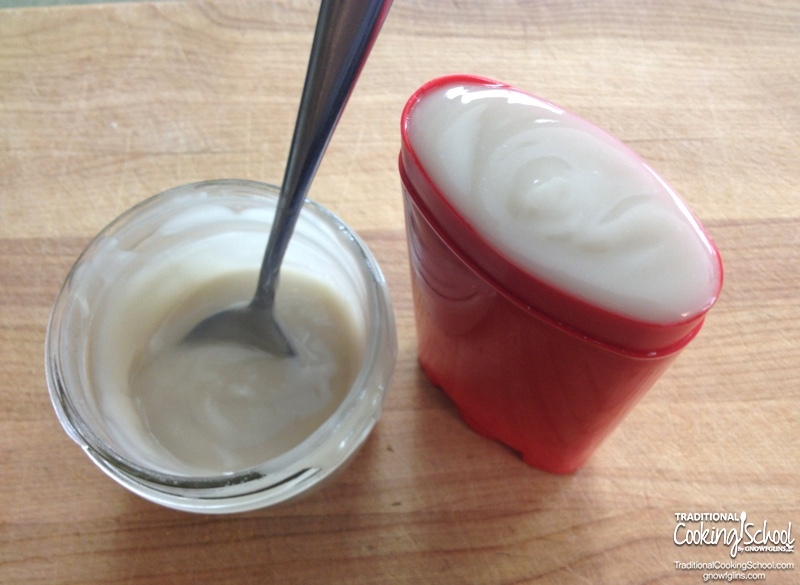 How do you use coconut oil? What's your favorite use? What benefits have you noticed? Can Coconut Oil Prevent Alzheimer's? Click here to check out Cold-Pressed Organic Coconut Oil from our preferred source, Wilderness Family Naturals. I use it in my hair, combined with some favorite essential oils. I actually discovered it when I had awful dry, fly away hair. A friend recommended that I use it to keep it tame. I love what it does for that, and for my skin. I use it at night as either a cleanser and/or a moisturizer. I need to do better about using it in the kitchen. The coconutty taste is somewhat offputting at times. I really prefer ghee but I know the CO is probably a better choice. I use it for everything! Sometimes o. The ends of my hair, as a face cream(especially at night), oil pulling, as makeup remover, I use it for all sorts of burns, and I use it in cooking.I love cooking my kale in it, but also use it as the oil when popping popcorn on the stove. I even use it as deodorant. Sounds weird but it works better then anything else I have ever used… And I have tried everything! I know and believe the value of coconut oil and use it in my deodorant every day but I really don’t care for the flavor, especially when cooking. It overpowers everything. I’ve used the refined in cooking but wonder about how much of the benefits remain after the processing. What coconut oil do you recommend to add with coffee?